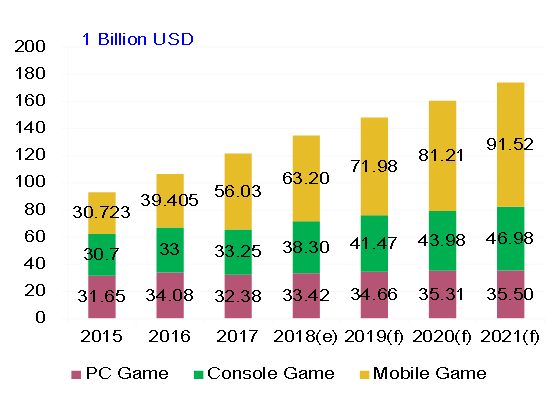 Worldwide digital gaming market value is estimated at USD148.1 billion in 2019, about USD 72 billion of which will be contributed by mobile gaming, according to the Taipei-based government-backed IT research institute MIC (Market Intelligence & Consulting Institute). "Although mobile gaming still managed to have the highest share in 2018, its market value had been revised down. PC gaming and console gaming markets, however, performed better than expected last year," says Sagitta Pan, senior industry analyst with MIC.